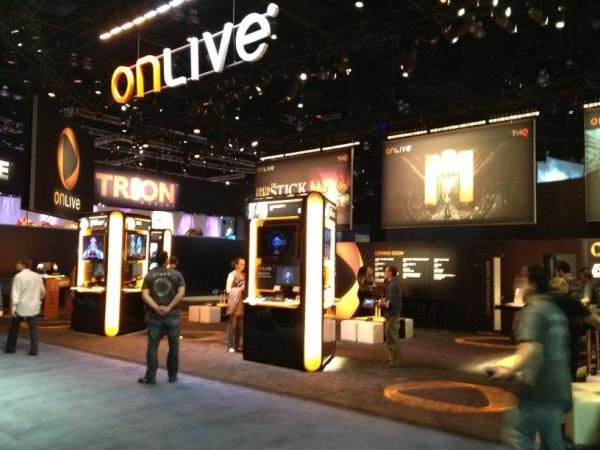 Cloud gaming service OnLive announced the next revolution in social gameplay, OnLive MultiView at E3 2012. Leveraging OnLive’s exclusive massive spectating technology, OnLive MultiView empowers players for the first time ever to both spectate and voice chat with other gamers while playing their own game. Whether activated in co-op or multiplayer games to coordinate tactics with other teammates, or in single-player games to keep tabs on friends, OnLive MultiView delivers a unique social gaming experience that not only is engaging, but adds a new dimension to gaming never before possible. Like all OnLive social features, OnLive MultiView is available with OnLive’s One-Click In-Browser Cloud Gaming, enabling retailers and publishers to showcase live gameplay of advanced levels and to provide context to multiplayer demos through voice chat. 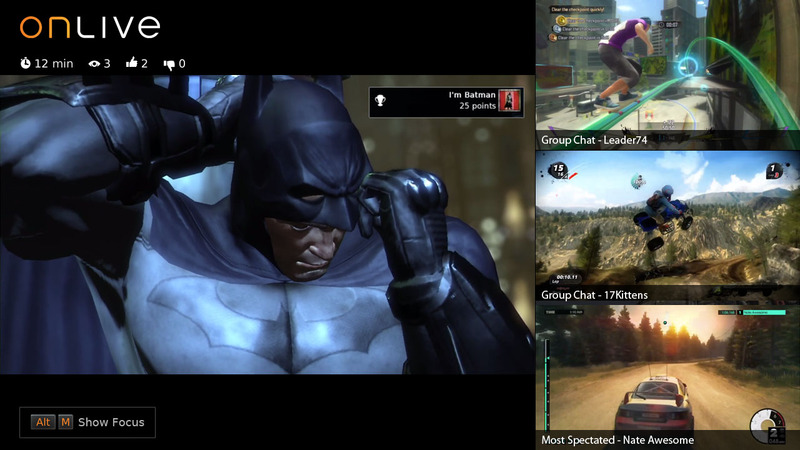 OnLive’s massive spectating Arena already empowers users to spectate and chat with other gamers, but with new MultiView spectating, gamers can pursue their own game while at the same time having a 3-window “picture-in-picture” experience spectating other OnLive games in play with voice and text chat. Co-op or multiplayer games take on an entirely new dimension as players can virtually look over teammates’ shoulders to witness the exact same visual experience, no longer limited to describing scenes through chat. 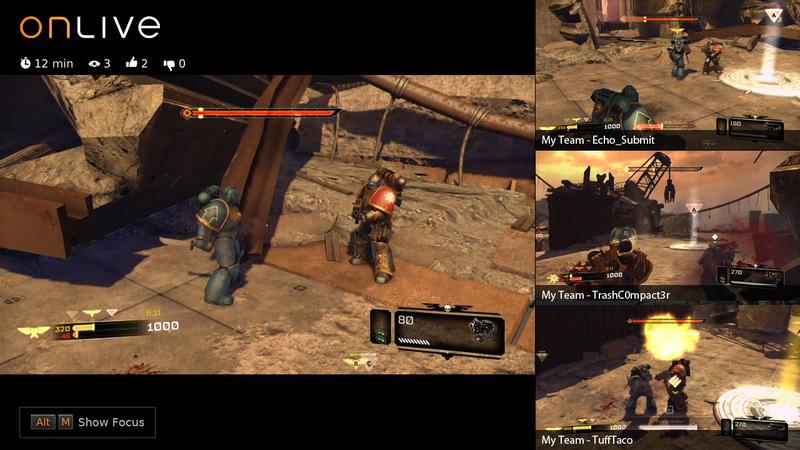 Teammates automatically appear as soon as OnLive MultiView is activated, updating as players come and go, taking cooperative tactics to completely new levels. 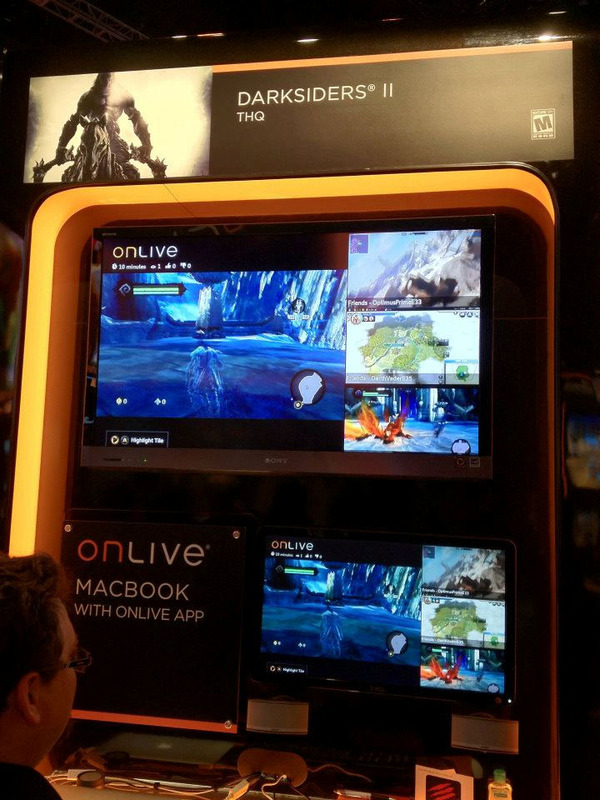 OnLive MultiView even transports single player gaming into a new realm. Spectate and chat with friends in other games while you continue playing your own, regardless of the type of game being played—single player, multiplayer, puzzle, action, racing, shooter, etc. Race friends through single player levels, compete to unlock achievements or just sit back and spectate what your friends are up to while conquering your own game. All MultiView features activate instantly and automatically, exclusively on the OnLive Game Service. 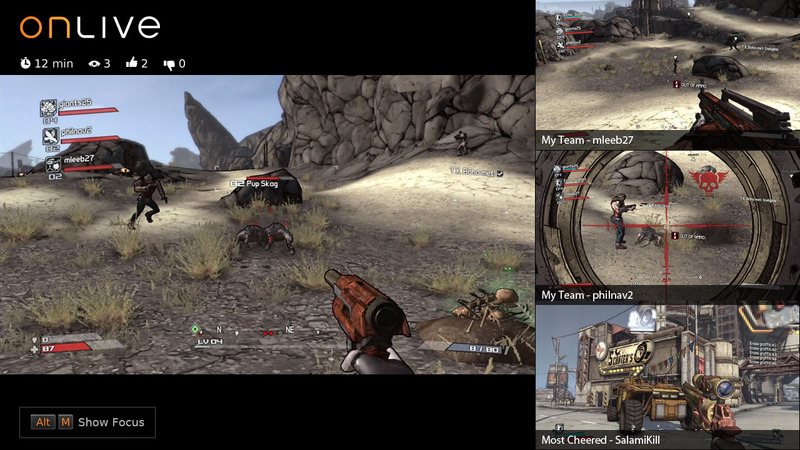 Players can activate OnLive MultiView with a simple hotkey, augmenting their gameplay to spectate three auto-populated live games. The live games are intelligently selected to show co-op or multiplayer teammates when available, or can be customized to show friends or other interesting games. Multiplayer competitive match-style game spectating is suppressed to not reveal positions, and as always, privacy settings allow players to choose whether or not their gameplay will be viewable. 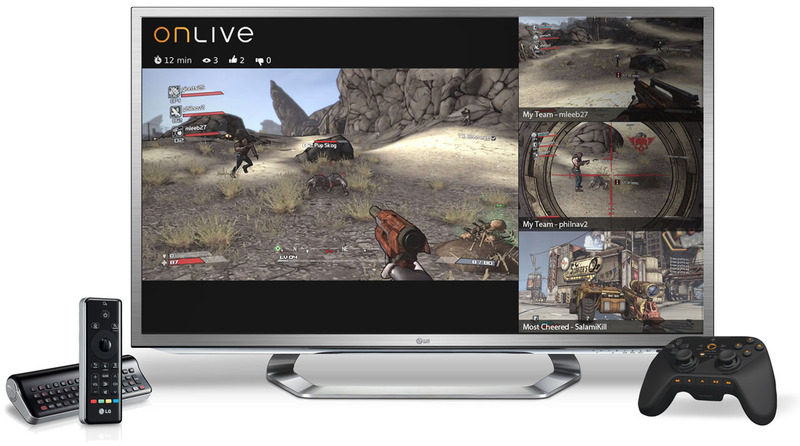 OnLive is also exploring the possibility of adding multi-monitor support to its PC client, which could enable users to have dedicated displays for live gameplay feeds of multiplayer teammates, friends and other OnLive gamers. You can drop by OnLive's booth #535 in the South Hall of the Los Angeles Convention Center from June 5-7 to get a glimpse of the new OnLive MultiView feature. OnLive MultiView is currently available in closed beta. Steve Perlman said that the feature is already pretty solid, so he has asked the development team to see if they can open it up for a few OnLive gamers to give it a spin this week. The release of OnLive MultiView is slated for later in 2012.